We make the choice of Hardware simpler for you. We are a Business Partner for Lenovo and therefore we can offer their best ThinkCenter and Thinkpad range of desktops and laptop to the industry. Designed and built specifically for business, ThinkCentre desktops offer cost-cutting manageability tools. Time-saving productivity features. Energy-conserving technologies. And models to suit any budget and space requirement. No wonder so many businesses from startups to large global enterprises invest in ThinkCentre PCs. We deploy the right guardians for your Networks. A system security framework normally depends on layers of protection and comprises of numerous parts including system & network monitoring and security solutions apart from the hardware and other appliances. The commonly observed security breaches on the networks include those due to Viruses, Worms, Trojan Horses, Malware, Spyware, Adware, Zero-day/Zero-hour attacks, Hacker Attacks,DOS & DDOS Attacks, Data Breaches, Interceptions and Penetrations, etc. amongst others. You expect electricity when you plug into an outlet. You expect a dial tone when you pick up the phone. And you expect a network when you plug in your computer. It's just that simple. We provide Secure Network solutions which improve the economics of networking with carrier-class, high density hardware that reduces operational and capital expenses for branch,campus and data center network environments. Protecting 100+ GBps traffic daily. We right-size your Server requirements. Today’s data center environments have become tougher and complex than ever. Every customer aims to reduce IT cost, complexity, space requirements, power consumption and heat output and at the same time desires an increased flexibility, utilization and manageability. Flex System is Lenovo’s proven, 2nd generation blade, that efficiently runs your infrastructure applications with up to 80% better density than standard rack server deployments, says Lenovo. From growing small businesses to enterprise workloads, Lenovo rack servers offer the unmatched value, flexibility and industry-leading efficiency to meet mission-critical demands with legendary quality and reliability. Lenovo tower servers deliver powerful performance and versatile storage configurations in a small footprint for SMBs to large institutions. Most organisations do not know that the ideal Server refresh rate is much lower than the observed average holding period of 5 years. We scale your Storage as your business grows. The industry has seen an era when all mission critical enterprise servers were equipped data spaces on one with no of high capacity storage disks in the server chassis itself. For any expansion additional expansion boxes were connected using separate raid controllers. This created pools of quite a bit of unused data pools within a single organization. There was no straightforward way for the organization to provide data pool to a server from another server where plenty of space was available. This wastage of resource actually led to what we now know as a shared storage or SAN. There are three storage consolidation architectures in common use: network-attached storage (NAS), redundant array of independent disks (RAID), and the storage area network (SAN). In NAS, the hard drive that stores the data has its own network address. Files can be stored and retrieved rapidly because they do not compete with other computers for processor resources. In RAID storage consolidation, the data is located on multiple disks. The array appears as a single logical hard drive. This facilitates balanced overlapping of input/output (I/O) operations and provides fault tolerance, minimizing downtime and the risk of catastrophic data loss. The SAN is the most sophisticated architecture, and usually employs Fibre Channel technology. SANs are noted for high throughput and ability to provide centralized storage for numerous subscribers over a large geographic area. SANs support data sharing and data migration among servers. We can design Workstations for you. We provide CAD workstations for the professionals who are into designing 3D models, designing complex mechanical sub assemblies for the automobiles, performing Finite Element Analysis (FEA), Computational Fluid Dynamics (CFD), making animation films and documentaries, computing complex geometry or probably rendering high resolution images and video. 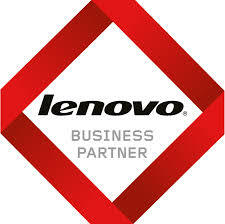 We offer the best in class Thinkstation range of Lenovo. ThinkStation is a smart workstation, and offers a user-centric, environmentally conscious design that boosts your business productivity. It gives ultimate computing power and excellent graphical capabilities in 2D & 3D. The workstations are accompanied by a range of graphics cards from an entry level 2D to an ultra high end 3D. To visualize the ultimate power of these workstations, we also offer a range of high performance displays.